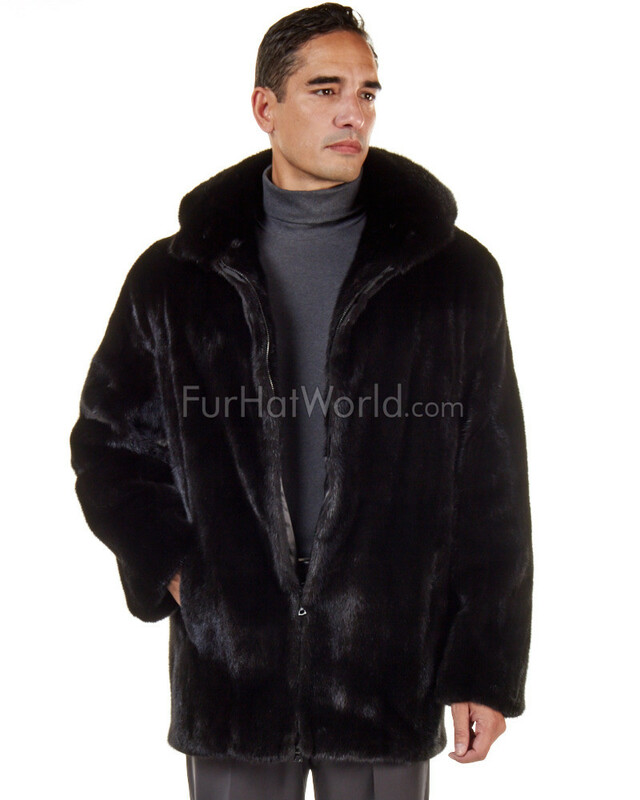 Our The Hudson Mid Length Black Mink Fur Coat for Men is a classic design for him with an edge. The straight cut design is affixed with lush long hair mink fur and a fold down collar. This distinguished style features a matching detachable hood, A YKK metal zipper with leather detailing which will keep you warm in the snow. This luxurious coat also features two side entry pockets lined with crushed velvet. An interior pocket is adorned with leather details on the silky satin lining. The lengthy effect is great atop a suit or a casual ensemble for the winter. Crafted in luxe Mink Fur, Mink Fur is thick, glossy and silky smooth.